By Jay Rogers. Posted February 19, 2018. A while ago, I thought it might be possible to chronicle a history of the pro-life movement in Florida. I have in several filing boxes literally reams of articles and archives from Melbourne, Florida. Going back over this material, just chronicling the fight to close one abortion center in Melbourne, I realized that every city has its own story. One way to describe the pro-life ministry in your own state or region would be to list the many great pro-life warriors — many of whom have been in the fight for at least 20 to 30 years and some from the beginning. My background in pro-life ministry was Operation Rescue, so that is the perspective that I come from. There are also Crisis Pregnancy Counseling Center ministries, pro-life education, indirect political action and many other outreaches to the preborn. A pastor who I actually met in a Brookline jail 28 years ago (after a peaceful prayer rescue in which over 100 Christians were arrested) was named John Ensor. He did a meeting with us in 2007 here in Orlando. He spoke on Heartbeat International and their plan in Miami to open CPCs in the downtown area. He showed us a heat map of the incidence of abortion in America. And what we saw was hot spots in the areas of New York City, Washington DC, Chicago, Los Angeles and Miami. Then he showed a map of the 2000 Crisis Pregnancy Centers in the USA. The map showed that almost all the CPCs were located in the suburbs and rural areas. For the dozen or so abortion centers in Miami, there was one crisis pregnancy center. Now there are Crisis Pregnancy Centers in the near proximity of abortion centers in Miami and also here in Orlando and more throughout the state of Florida that have opened up a short distance from the abortion mills. There are also new ministries, such as Cities4Life, in which women are reached at the abortion centers through street evangelism and from there sent to nearby pregnancy counseling. Support is given every step along the way. On Charlotte's Sidewalks from cities4life on Vimeo. In short, Cities4Life is a recently birthed ministry that “seeks to transform the culture of death brought about by abortion to a culture of LIFE in our cities as we work to mobilize the Body of Christ to speak up for those who cannot speak for themselves.” This is a strategy that coming about organically in many places as there is a new spirit of cooperation through networks of ministries that did not work together in the past. 2018 marked the 45th year since the infamous Roe v. Wade decision. I was recently thinking back on my time in the pro-life movement. From 1989 to 2001, I worked full-time in Christian media production and foreign missions. This was spurred in great part by my first foray into pro-life activism in the Boston area in late 1988 and early 1989 with Operation Rescue. In those early days of the birthing of the evangelical pro-life movement, I met many people who are still doing this ministry today. My writing about our arrests for biblical obedience, to “rescue those who are being carried away to the slaughter” (Proverbs 24:11), appeared in The Forerunner newspaper and I was later invited to join the staff. In Florida, over the past 25 years, I have met many great pro-life warriors, whose names are too numerous to mention. But recently, I’ve noticed a trend among naysayers – those who are faithfully involved in street evangelism at abortion centers and other forms of action – who nevertheless believe that the pro-life movement has been a colossal failure because we have not ended the abortion holocaust in America. Others insist that we are winning and abortion will soon go the way of the crime slavery in the minds of most Americans. The two views on the fight against abortion could not be more different in their view of what the pro-life movement has accomplished. To those people who see no reason to be so optimistic, I would simply say that they need to expand their worldview. Abortion, infanticide and child sacrifice have been with us from the beginning of time. It did not begin with Roe v. Wade. George Grant has written a book, Third Time Around, which is made available as a free e-book, showing whenever the Church has engaged the abortion holocaust in history, it has been successful in defeating child sacrifice. But where do we stand in 2018? I will here deal with an objection that I am hearing more of — that we are not winning — and look at the question from different angles. Reducing Abortions — Is there an abortion change? The first objection is to the popular statistic that shows that abortions have declined from their peak of 1.6 million in 1988 to about .9 million in 2014. These people say that surgical abortion is being replaced by chemical abortion and that the overall numbers of abortions may actually be increasing. Carole Novielli has an article in which she shows that the 1.2 million number is actually an estimate of all abortions. This is .9 million plus chemical/medical abortions, which is about 30 percent nationally according to the Alan Guttmacher Institute. These are the statistics we have. These are estimates. No one knows the exact number of abortions. However, we do know that the overall numbers dramatically dropped in the 1990s and have been dropping more slowly yet consistently since then. I have been in this fight for 32 years and no person who is recently interested in the unborn will EVER convince me that we have not saved lives and made a difference. You can try to re-write history if you want to, but some of us lived this history and until we are dead we will testify to the changes we have witnessed. I agree wholeheartedly. This is an excellent article that addresses the chemical abortion question from every angle. What about the per capita abortion rate? When we look at the American population growth, we see something similar, but even more dramatic. Not only has the total number of abortions dropped — 1.6 in 1988 to 1.2 in 2015 — but even with the population growth of 250 million to 325 million between 1988 and 2015, the overall numbers have gone down. If you want to do the math yourself, you calculate the per capita abortion rate drop by dividing 1.6 by 250 and then dividing 1.2 by 325. The per capita rate has dropped from .64 percent of the population per year to .36 percent – almost in half. In Florida, the number we were given is 60,000 — but used to be over 100,000 per year. These are surgical abortions only. If we add the 30 percent to figure in chemical abortion, the number is around 80,000. But when we also consider the per capita rate. Florida went from 15 million to 21 million people from 1990 to 2015, again we see that the overall per capita abortion rate has fallen by almost 50 percent. So this is consistent with the national trend. In Florida, 14 abortion mills have closed in the past five years. Some have reopened under a new license. There used to be over 70 in 2008 when I started looking at these statistics using the AHCA website. There are now 64 licensed abortion clinics, but really 62 at most are operating. The average age of abortionists in Florida is now over 65 years old. There are approximately 50 abortionists that cover the 62 mills. So overall, there are fewer abortions, fewer abortion centers and fewer abortionists than 25 years ago. The weak link is the abortionist (the abortion “doctor”) more so than the number of abortion centers. Now some people say that the closing of abortion mills doesn’t have any effect. If one closes, then women will just travel to another abortion mill. Actually, the opposite is true. To show this, we can look at how abortion numbers grew in the first place. When we look at the years 1973 to 1976. When abortion mills opened in Fort Lauderdale, the abortion rate went up. But Miami’s rate went up too even though they had had abortion mills in Miami 1972. So this shows that opening up a new abortion clinic in an area with no access to abortion increases demand and doesn’t necessarily decrease the number of abortion in the adjacent counties. Conversely, we’ve seen that when an abortion center closes in one county, the numbers in adjacent counties do rise a little, but not so much that it completely erases the numbers that disappeared in the county where the abortion center closed. There are reasons for this. The main reason being that when abortion is available the teen pregnancy rate goes up, the teen birth rate goes up and the teen abortion rate goes up. When abortion is not available, the teen pregnancy rate goes down, the teen birth rate goes down and the teen abortion rate goes down. Why? People have different ideas to explain this, but the simplest explanation is that teenagers behave more responsibly when they know the safety net of easy access to abortion isn’t there. Some people insist that a mere presence of pro-lifers in front of abortion centers has no effect and is even counter-productive in many cases. Over the years, I’ve had dozens of conversations with Christians and even many pastors who insist we aren’t having an effect. I then tell them that I actually lived in and owned a home across the street from an abortion center for seven years and saw the effect on a daily basis. The following slide shows the number of abortions in the city of Jacksonville since Ed Martin and 40 Days for Life began ministering in that city. In short, we know that when Christians show up at the gates of hell every time a local abortion center is open for business, lives are saved and the total number of abortions goes down. Should we celebrate incremental gains? Some people aren’t happy with these incremental gains. They say that we can’t celebrate while even one child is murdered through abortion. And I wholeheartedly agree. That is, we can’t celebrate to the point where we think our job is done. We can’t think that we’ve accomplished something in our own strength outside the grace of God. We can be happy though and optimistic about what is happening before our eyes. And we can have faith that God is going to win this victory for us. We can’t stop until abortion is all but eradicated. But here’s a relevant question. What laws produced this decline? Some will say parental consent laws, clinic regulations produced the change. Some say street activity. Some say Crisis Pregnancy Centers. The pro-abortion advocates at Planned Parenthood and elsewhere say it’s due to greater access to birth control. And so on. I don’t necessarily disagree with any of that. I think it might be a combination of all of the above. But to end abortion, a cultural change is needed first. Bryan Longworth of Personhood Florida has said that prior to getting a Constitutional Amendment that will eradicate abortion legally, we must first see massive social change, education and a cultural shift in attitudes toward abortion. In Personhood Florida, our emphasis has shifted to changing the culture first and building our organization to the point where we can get the petitions we need to get a Constitutional Amendment on the ballot. But we know that we can’t win at the ballot box until the culture is changed. Some will still say that even though we are seeing some change in America and elsewhere, the number of abortions worldwide are increasing. Are the number of abortions growing or declining world-wide? Again, I point to George Grant’s book, Third Time Around. Abortion didn’t start in the time of Roe v. Wade. It began in biblical times. Child sacrifice and abortion are almost as old as the human race. If you want a more in depth teaching on that, you need to see The Abortion Matrix. But as far as legalized access to abortion in the Christian nations of the western culture — or abortion with a political agenda – that trend began in the 20th century. Out of all the nations in the Christian West, which country first legalized abortion? The amazing thing about the above chart is that you can infer the whole history of the world in the 20th century through abortion. Legal access to abortion began in the Soviet Union in the 1920s. Nazi Germany then legalized abortion for the non-Aryans, the Untermensch in their society, but encouraged Germans to have lots of children. After World War Two we see these huge spikes. So it’s still higher than it was a century ago, and of course, there are billions of more people in the world than a century ago. However, there is a huge decline in abortion since the downfall of communism. That decline is in the face of worldwide population growth. So the lesson here is that socialism and communism require death and destruction of young people to achieve its goals. Operation Rescue National – was Keith’s group that was the national organization that led the rescue movement in the early 1990s. This became Flip Benham’s OSA and Pat McEwen’s LCI in 1993. We met in Keith Tucci’s office in 1995. Bob Weiner wanted to send pro-life missionaries to Russia to train 500 student leaders in Yaroslavl. Jim Anderson was there from Lifeline. Franco Genarro who was a rescue leader in Tampa and then a missionary to Latin America was also in Yaroslavl for that conference. We were all full-time and part-time missionaries to the nations — but each of us got our start in pro-life street ministry or youth evangelism. A lot of that was the effort of the Russian Orthodox Church and improvements in the Russian economy. But I like to note that our conference in Yaroslavl in 1995 was the first national pro-life conference — actually international pro-life conference — in the history of Russia. 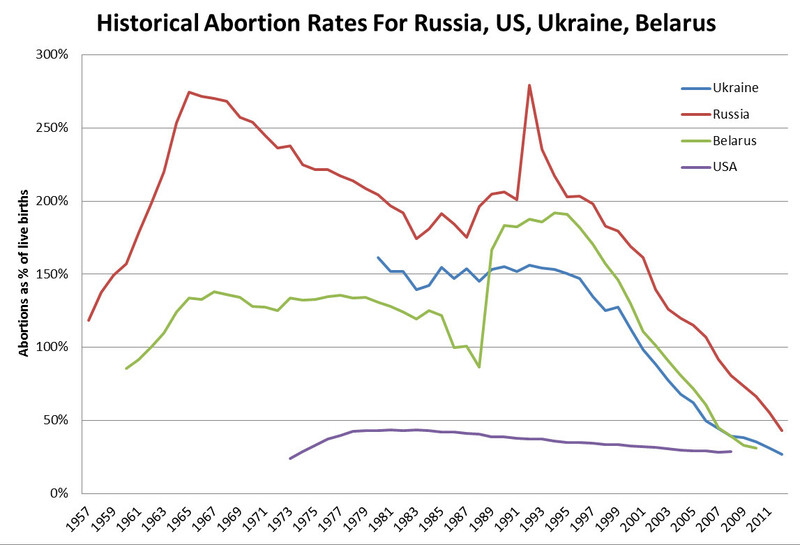 What is happening in the abortion rate in Russia and the former USSR is major news, but of course the mainstream media won’t cover it. In the USA, what ought to be our main priority? So while it is true that great things are happening, we have a long way to go. We should never get caught into the trap of thinking that huge progress is not being made. We should not throw our hands up and bemoan the failure of the pro-life movement. Finally, we should not view fighting abortion as a post- Roe American phenomenon. It is a worldwide struggle for all the ages. The last enemy that will be destroyed is death. For “He has put all things under His feet.” But when He says “all things are put under Him,” it is evident that He who put all things under Him is excepted. Now when all things are made subject to Him, then the Son Himself will also be subject to Him who put all things under Him, that God may be all in all (1 Corinthians 15:26–28 ESV). «- In the Days of These Kings - New Book!